I’ve featured the wisdom of my friend and fellow blogger, Vikki Nicometo, here on Midlife Rambler before, and I always enjoy hearing what she has to say. 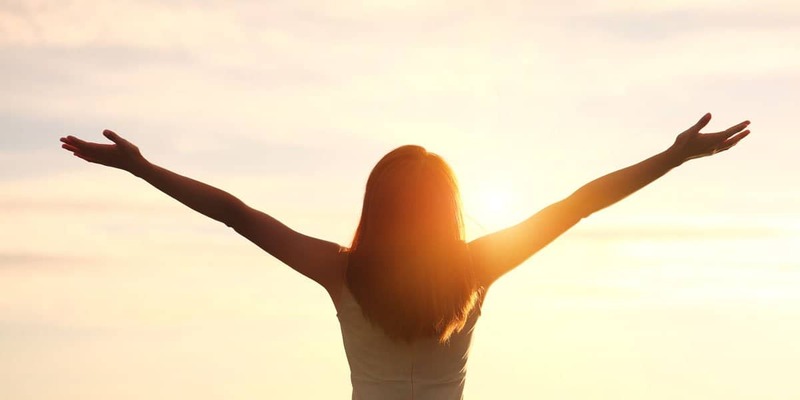 Vikki is a Certified Life Coach, and Gallup-Certified Strengths Coach and she recently treated me to a strengths coaching session in return for an honest review of the process. I’ve been interested for a good while in the field of positive psychology, which involves studying what we can learn from people who are flourishing in their lives. And people who are flourishing tend to do so because they are utilizing their unique strengths: the talents that come so easily to us that we sometimes aren’t even aware that we’re using them. There are many benefits of strength coaching even if, like me, you’ve been in the working world for over 30 years. If you’re planning on staying in your career until you retire, knowing your strengths and how best to use them can help you become happier and more effective in your current role. And if you’re currently thinking about a career change or new opportunity, knowing your strengths can help you identify the role that’s uniquely right for you. Gallup has been studying strengths for over 40 years and has come up 34 different types of strengths which they have grouped into 4 different domains. The Clifton Strengthfinder assessment identified my top 5 strengths and then Vikki worked with me on how best to use and blend my strengths. I started by taking the StrengthsFinder 2.0 assessment, which is a 177 question survey. Each question presents you with two options and asks you to determine which sentence best describes you. This was surprisingly difficult; sometimes I felt both options described me and sometimes I felt like neither option did. However, I’ve been told that the best way to get good results from these tests is to take 10 seconds or less to think and pick the option that comes to you the quickest so that’s what I did. Signature Themes Report. A full description of my top five themes. Strengths Insight Guide. Personalized insights into how my strengths work together. Strengths Insight and Action-Planning Guide. Ways to use my strengths. Action-Planning Tool. A way to create my own personalized action plan. 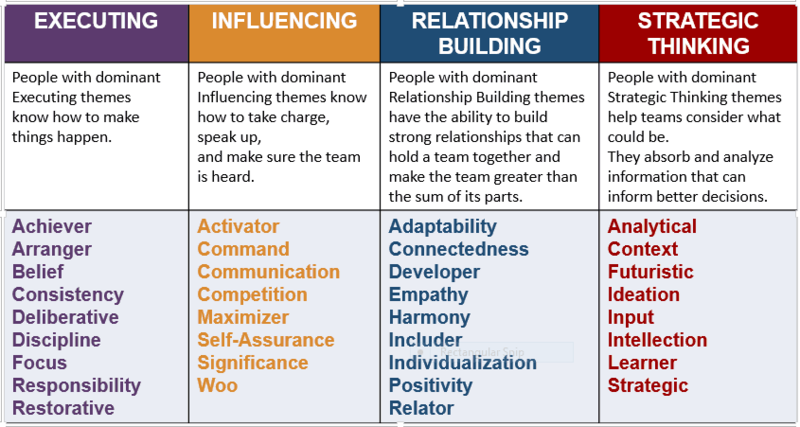 Strengthsfinder 2.0. A downloadable e-book that explains the science behind the strengths assessment and provides more details about using your strengths to your best advantage. That’s a lot of information and I hadn’t even had my coaching session with Vikki! Input. A person with the StrengthsFinder theme of Input is inquisitive and curious, always on the lookout for new and interesting information. People with Input seem to want to know about everything, and they ask questions to propel them to learn even more. Input indicates one’s ability to not just collect information but to store it, and then to retrieve it when needed. Intellection.People strong in the Intellection theme are characterized by their intellectual activity. They are introspective and appreciate intellectual discussions. Connectedness.People with the StrengthsFinder theme of Connectedness believe that everything happens for a reason. They have the unique ability to ‘connect the dots’ between what is happening in the here and now with deep personal meaning. Futuristic.People strong in the Futuristic theme are inspired by the future and what could be. Learner.People with the strength of Learnerlove to learn in many areas and simply enjoy the process of learning, more than the topic of what is being learned. Four out of my five strengths are in the Strategic Thinking domain! As Vikki put, “You’re in your head a lot.” That is completely true and it’s also true that I never saw these strengths as any kind of talent. Doesn’t everyone spend a lot of time analyzing, planning, daydreaming, and mulling things over? Didn’t everyone have a scrapbook of interesting clippings from the newspaper in middle school? So many of the phrases in the report resonated strongly with me but I was also a little dismayed by how “fluffy” these skills seemed to be. I don’t see a lot of jobs on LinkedIn looking for someone with strong input skills. As I said to Vikki when we started our session, the report made it seem like I might be an interesting person to talk to at a party, but what kind of career path would be right for someone like me? Name It. Discuss the areas of the report that really resonated with me and why. Claim it. Tell a Story where I used a particular strength to achieve a success. Aim It. Discuss a goal I have and how could I direct my talents to achieve that goal. Am I the only person who finds it hard to come up with a success story? I couldn’t think of one single success related to my input skill until Vikki pointed out that collecting information about midlife and sharing it with other women going through the same thing is the literal purpose of this blog. Oh, well, duh. But this shows how helpful it is to discuss these results with someone else. That’s an obvious example anyone could see and yet I couldn’t see it for my own self. Our discussions during this process helped me to reframe my strengths in a more positive light. I tend to feel like my futuristic thoughts are a bit selfish because when I think about the future I’m primarily thinking of creating the best life for me. But Vikki pointed out that my idea of a best life is one in which I’m using my strengths to their fullest potential. In that case, I would be constantly learning and sharing information to help others. Just because something is fun for me to do doesn’t mean it won’t benefit others. That was a classic Oprah-style Aha moment for me. Do you actually mean that having fun using my strengths is actually the best thing I can do to help others? I literally just wrote a blog post about this and yet I still needed to do more work within myself to truly understand this. Talking with Vikki to identify and truly own my unique strengths finally carried the message home to me. Our final exercise was the most powerful one of all. Using a set of Theme Dynamic cards, Vikki read a series of words that described each strength and then asked me to pick the one that resonated the most or provide a word of my own. Using this process, we came up with the following description for me. I am a future-oriented, introspective, passionate, seeking curator. I. LOVE. THIS. The woman described in that sentence is a woman who would be valuable to any endeavor. That’s a strong woman who wants to work hard and get results. And that woman is me. I wrote this sentence down and carry it with me to remind me of just how valuable I am. My session with Vikki helped me create a mission statement and craft a vision for the second half of my life. Now that I understand my own unique strengths, I can become a resource to gather information, mull it over and come up with a picture of future that helps the world. If you’re interested in identifying your unique strengths and discovering how you can use them to thrive during the second half of your life, I encourage you to reach out to Vikki at vikki@positivelyconnectedcoaching.com or visit her website, www.positivelyconnectedcoaching.com. Have you ever had a strengths assessment or a similar assessment? What did you learn from it? Let me know in the comments.